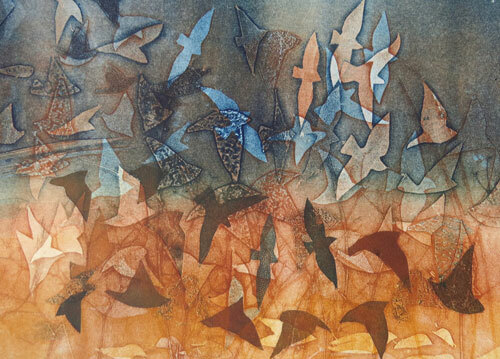 Copper Gold - an exhibition of printmaking by Jackie Curtis has opened at The Sugar Cube Gallery in Hambridge. Copper gold colours of autumn & early winter flow though prints inspired by Somerset and the sea. It is the 8th exhibition at the Sugar Cube Gallery that started out life in the summer of 2014 in the foyer space of Teapot Creative a design & digital marketing agency based in Bowdens Farm Hambridge.